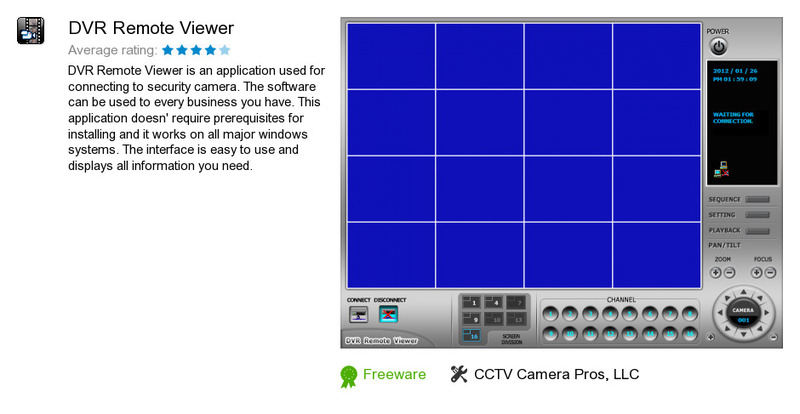 DVR Remote Viewer is a software program developed by CCTV Camera Pros, LLC. We know of versions 2.1, 1.0, 0.2, 0.0. Version 2.1.48 is available for download at our site. DVR Remote Viewer installation file has a size of 3,750,559 bytes.